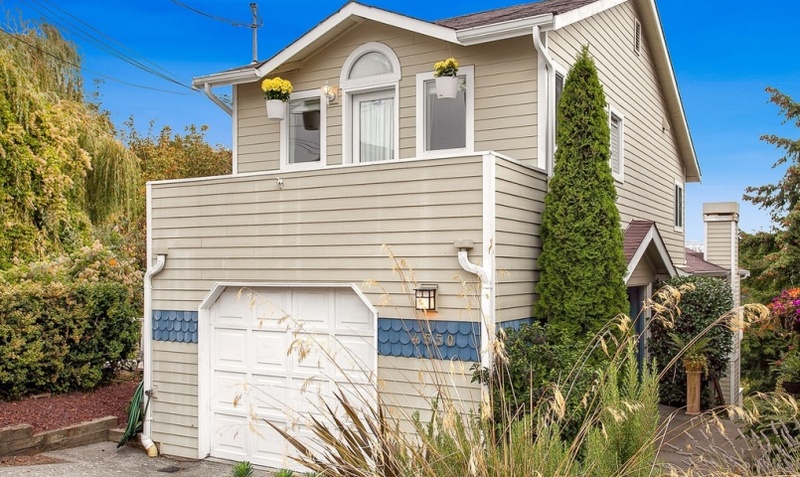 This bright, contemporary home close to the Alaska Junction and Alki Beach will delight you w/ its 2+ BR, 2.5 BA open concept floor plan. Main floor has skylights, kitchen w/ granite counters that opens to a spacious living/dining area, & a deck showcasing the peaceful easterly view. Upstairs is the cheery master suite w/ 2 closets, 5 piece bath & westerly-facing deck w/ peek a boo sound views. The lower level houses a huge full BA, 2nd BR, bonus room being used as a 3rd bedroom, & another deck.